Oh second hand city, I MISS YOU. But there just don’t seem to be enough hours in my day at the moment. The problem isn’t so much that I don’t have time to write … It’s more that my life is SO DULL. No time for op shopping + no time for creative projects = nothing to write about. And I don’t think anyone wants to hear about how I once again yelled at the kids to get them out the door to school (even though I swore I was going to keep my cool – but there are only so many times you can ask someone to get their lunchbox when you’ve just spent 30 minutes making something better than sandwiches – don’t you agree? ), went to work, fed, drove and cooked after school for a seemingly endless amount of time and then fell in a heap at 8.30pm. Do they? 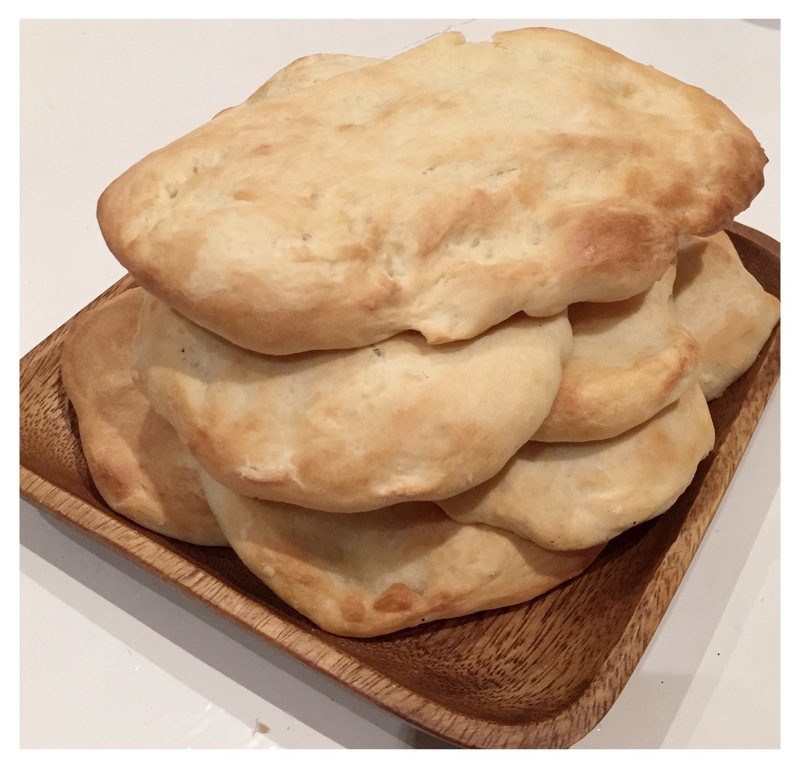 The naan I cooked for dinner last night. It’s pretty impressive right? I’m proud! Good luck with all the preparations! Having co- run several school fetes etc. I totally undertand the enormous effort involved! My tip – book yourself in for a massage or something for the day after the big day!